It’s almost 8,200km from the Irish headquarters of software company CloudKPI to its US base on Montgomery Street in San Francisco, but founders Brenda Jordan and Maeve Kneafsey are more than happy to make the trip. The experienced entrepreneurs have had the west coast of America firmly in their sights since founding CloudKPI, which provides analytics for software as a service (Saas) companies. They have been visiting Silicon Valley from the start and established their office in California as soon as they could. “Half of the world’s Saas companies are based in North America, so that’s why we went,” said Kneafsey. “The traditional model for an Irish tech start-up is to start at home, prove the business model here and then take it to the US. They signed up for Access Silicon Valley, an Enterprise Ireland scheme that helped them identify potential customers and investors before travelling. 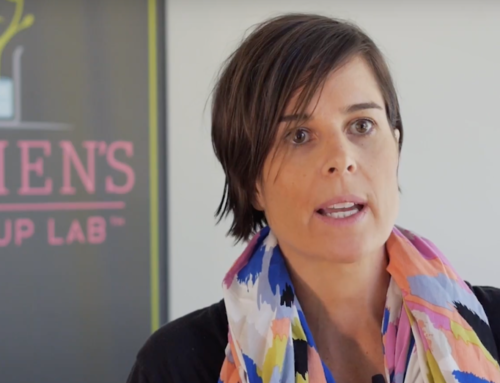 On the ground in the US, they recently secured a place on the Women’s Startup Lab, a one-year residential accelerator programme in Silicon Valley, which is helping them build their US networks. The programme involves one-to-one coaching and sessions on strategy and funding. It also offers practical advice from senior executives of companies including LinkedIn, Apple and Evernote. The initiative is helping Jordan and Kneafsey to get in front of potential investors for a current funding round of €750,000. If they are successful, Enterprise Ireland will supplement the money with a further €250,000. Paul Burfield, Enterprise Ireland’s senior vice president for the west and southern US, said Irish companies were increasingly looking at opportunities in America, particularly since the UK voted last year to quit the EU. Given its reputation for innovation, Silicon Valley is a natural first stop for Irish tech companies looking at the US, said Burfield. Many of the world’s biggest tech companies have their headquarters in the area, and businesses in all sectors look to California for the next wave of tech disruption. Companies are also attracted by the presence of well connected venture capitalists, so-called smart money that can open up access to customers and contacts. Last year, 40% of the world’s early-stage funding deals were done in Silicon Valley, according to Burfield. Preparation is the key for any company hoping to crack California, said Burfield. He warned that companies needed to “bring their absolute A-game” to get in front of investors or customers. Even then, many US funders will invest only in companies that are in the US. Founders may have to move to the area and there are practical steps to be taken, such as incorporating a Delaware company, which has tax efficiencies for investors. That proved to be the case for Róisín Callaghan of events company Cogs & Marvel. After a decade operating in Ireland, it opened a US office last year, using its experience of working here for companies such as Google and Facebook to open doors. The company is now winning new clients in America, and its California office, which employs 11 people, is growing fast. Callaghan predicts that the company’s US revenues will overtake its Irish revenues at some stage in the future. To succeed in the US, whether at winning business or landing investment, confidence is key, she said. “You have to be able to talk the talk here but you also have to be able to deliver it. A really good track record will only get you to step one. There’s a sense of ‘just cut the bull and show us what you can do’,” she said. When Michael FitzGerald founded OnePageCRM, which makes customer relationship management technology, in 2010, he considered setting up in Silicon Valley. After raising funds in the US proved arduous, however, he took a different approach. “I learnt quickly that US VC doesn’t like to invest outside of the US. And I learned that going after angel investment from the Irish American community wasn’t going to work either. “I got plenty of meetings but most just wanted to tell me how well they had done since leaving Ireland. In the end I decided to build a Silicon Valley start-up, right down to the cool offices, but do it from here,” said Fitzgerald, who is based in Galway. In the end, he found investment in Ireland. That hasn’t stopped his business, which employs 23 people and is profitable, from securing most of its customers in the US. “If you look at it crudely, one-third of our revenues come from the US, one-third from Ireland and the UK, and one-third from the rest of world. The US still turned out to be our biggest market,” said Fitzgerald.